We have good news to report today. One of our clients had a terrible time with one of the Colorqube copiers from Xerox, and they were under a service program. The copier kept breaking, and rather than making the client deal with a broken copier for years, Xerox swapped out the device under the Total Satisfaction Guarantee. We were surprised because it was about a $7000 copier and most manufacturers would not go to such great lengths to serve their clients so well. 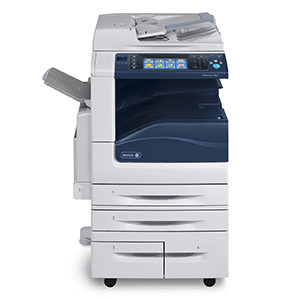 We will say when we believe Xerox dropped the ball, but generally speaking Xerox does an amazing job supporting their dealers and reps.
We have seen other manufacturers make the dealer buy the new copier, and that makes the whole contract a net loss. It is great to work with a manufacturer who has the endusers best interests at heart. We all want to do a nice job for our client, it is a lot easier when the manufacturer helps.